“Happiness is [town name] in my rear vision mirror”. Now while I don’t quite feel that strongly about leaving Kumasi, I haven’t actually lived in a place I have felt so ambivalent about before. After all, we knew what we were getting ourselves in for. A garden city without gardens. The ‘second’ city, with a reasonably small expatriate population and limited facilities. Now I know hundreds of thousands of Ghanaians happily call Kumasi home. It has a rich cultural heritage of which they are justifiably proud. 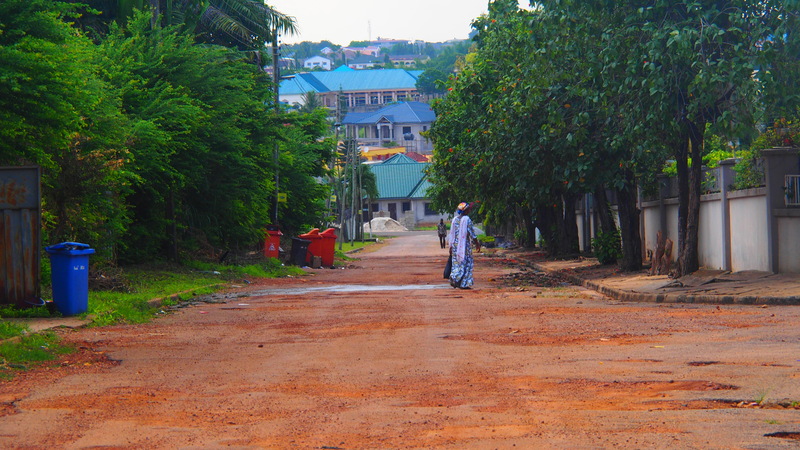 It is the nation’s centre of lumber, cocoa and gold; an industrial hub in it’s own right. But for a foreigner, in the words of a Ghanaian friend, “it’s not easy”. But why isn’t it easy? 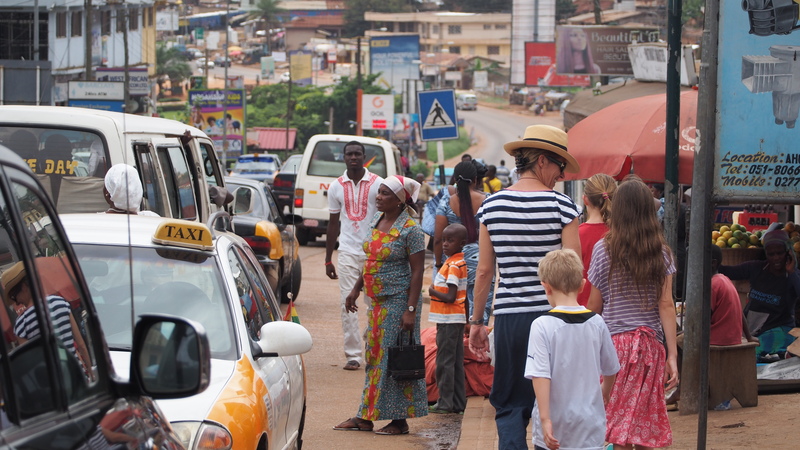 Kumasi has a number of expats, but their demographic is quite unlike that of Accra. They are either very long term, or very short term, with not many of us in the two to nine year stint typical of those of us here for industry or diplomatic work. 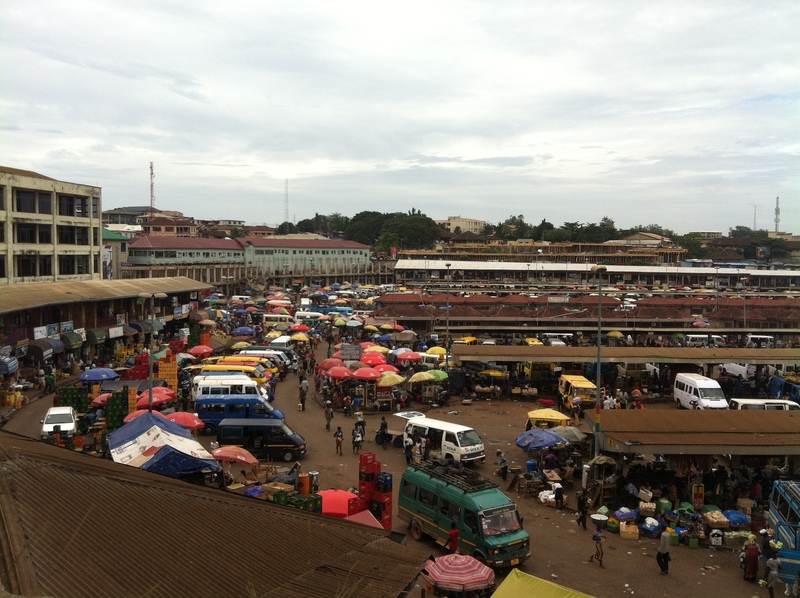 The long term expats fall into two groups: Foreigners married to Ghanaians, who have made their home and their lives in Kumasi. I have some lovely friends who are in this position. They have a much more mature acceptance of Kumasi than I do, knowing it is for the long term. They are also a brilliant source of local knowledge. The second group of long term expats are often Lebanese or Indian, some Italians too! A ‘Lebanese’ dad at our school is actually third generation Ghanaian, his grandparents emigrated to the Gold Coast (before independence in 1957). And yet he will never be truly Ghanaian, despite his lifetime in the country. He travels to Lebanon once a year, but tells me he feels more at home in Ghana. These communities are very close knit, and we shorter term expats are no doubt regarded as not worth the effort as we won’t be around long enough. Fair enough too. The very short term expats are typically young volunteers. I’ve friends from this group too, and it’s been great getting to know them. But their window is a year or less, and their view of life is sometimes so idealistic and romantic we come across as pathetic middle-aged cynics (which we probably are). And much of what I’m about to say is going to come across as a hideously over-privileged complaining expat. But wherever we’re from we carry with us, consciously or not, certain expectations. Yes, you know shopping will be a pain, but it’s a real eye opener when you realize you’ll be spending a day a week traipsing from shop to shop just to provide a little variety in your diet. Or swapping excited texts about seeing cream (UHT of course) in a certain store. Accra looms figuratively on the horizon, a shining light of sophistication, a place of hairdressers and restaurants, ham and cat litter. But over time, both experience and acceptance creep in. This hard fought knowledge become battle stories of which we are perversely proud: where to go, what to eat, who is a trustworthy tradesmen, where to get a key cut, and most importantly, who to ask. The sweetest prizes of all are the hidden gems: the woodfired pizza oven in the Italians backyard, milkshakes at a tiny bakery, a little store which sells pesto and sun-dried tomatoes. 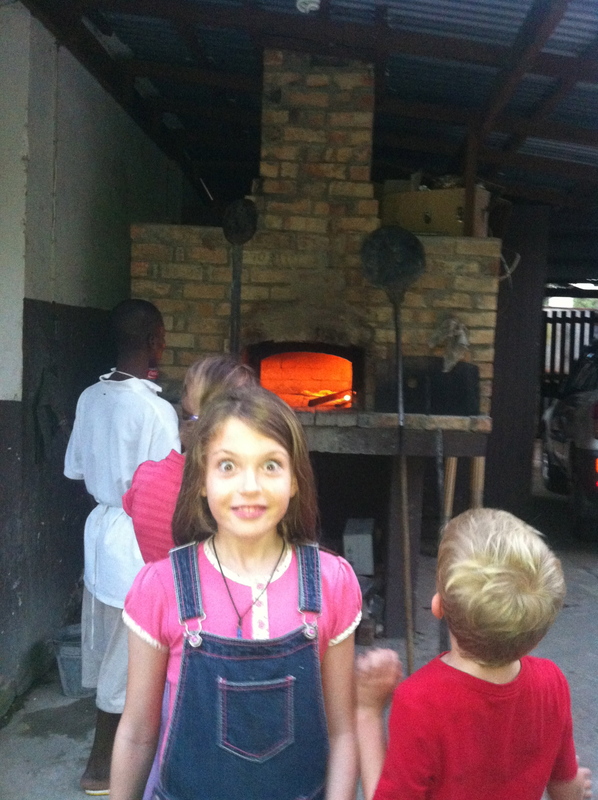 A secret gem: a wood fired pizza oven in a backyard! For foreigners, the social aspect can be very hard fought for as well. As there aren’t many places to go, most people socialize in their homes…which makes them pretty hard to meet. Friends in Accra have laughed at me when I tell them if I see another European looking person in the shops I go and introduce myself. But I have friends who have lived in Kumasi for over 20 years, and they prefer it to Accra. Maybe it’s the quieter pace, maybe it’s a little cheaper, maybe it’s familiar. But really it is because they have made it their home. But even in the two years I have lived in and around Kumasi, I have seen change, and it has been a privilege to watch. Life in the developed world progresses much the same, year-in year-out. Restaurants open and close, facilities improve and life goes on. 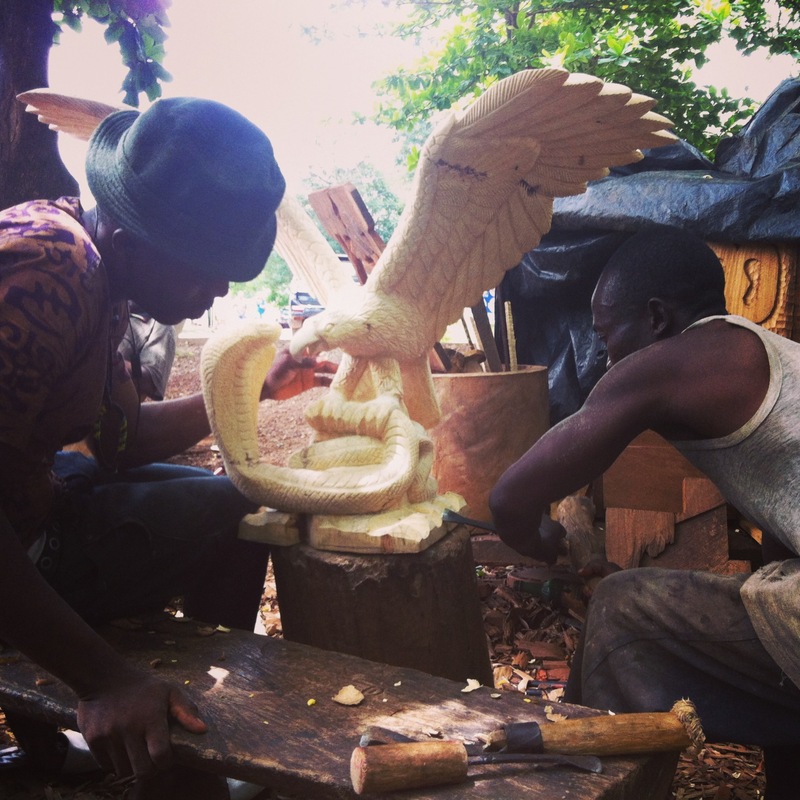 But in Kumasi (and even more pronounced in Accra), life for the growing middle class of this developing nation is changing, and their desires for a more sophisticated life are evident. On their own, these examples may seem pathetically shallow, but taken as examples of a whole, they point to nothing but change. Like seeing camembert occasionally in the shops, or the day I saw iPhones for sale on the side of the road. ATMs occasionally dispensing 50GHC notes (which are actually a total pain in the behind, no fruit and vegetable vendor wants a 50GHC note! ), the 20+ flights a day between Accra and Kumasi, and just lately, a new restaurant which breaks the Indian-Chinese-Lebanese monopoly on foreign food, the wonderfully sophisticated The View. And so Kumasi, I wish you well. 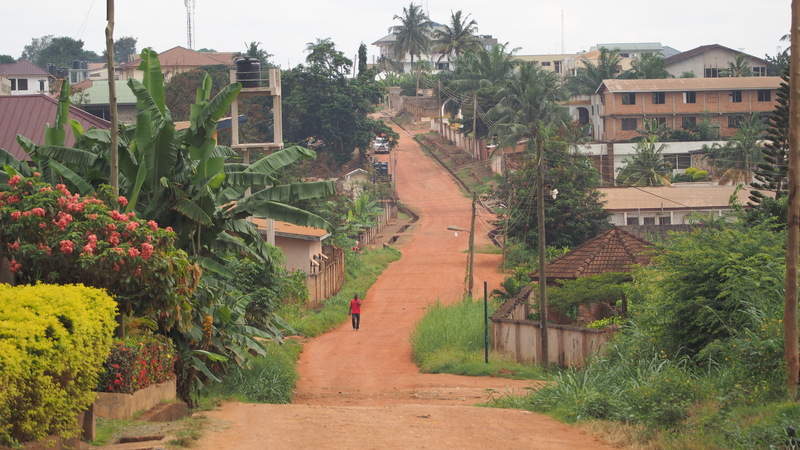 Below I have listed my top things to do in Kumasi, but what will I really miss? I’ll miss the fruit and vegetable stands on the side of the road. I’ll miss the sound of schoolchildren at recess next door to my house. I’ll miss the kids shouting “Good Morning! Obruni!” as I walk to the local shops. I’ll miss the familiar faces and morning greetings in my neighbourhood. I’ll miss the Harmattan skies and even washing the red dirt off my feet at the end of the day. I’ll miss saying “At the horse roundabout, take the arse exit”. But most of all I’ll miss my friends, those lovely women who, like me, made Kumasi their home. Our little group of friends who come, as any expat group do, from a wide range of places, countries and circumstances. I leave behind the Germans, Austrians, Italian, Australians and Lebanese to continue their lives in Kumasi. The South Africans, the Irish, the Americans and the Cameroonian left before me. But all of us now share a common history: laughs, condolences, confusions and frustrations, but most importantly of all, a shared time together. :: Kejetia Market. 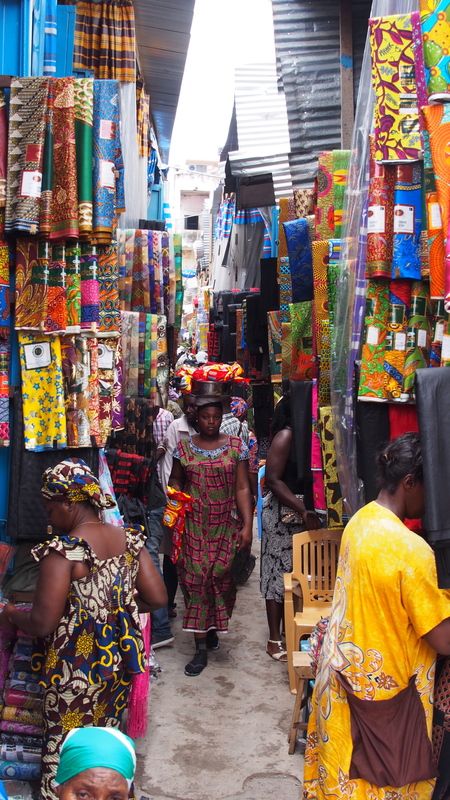 A smelly, wonderful labyrinth of vendors, tailors, shoemakers, you name it. From the freshly butchered meat to the jele head wraps, enamel pots and aluminum cauldrons, plastic hair decorations and vegetables, beads and antiques, wedding cloth and wax print. Mind boggling, sensory overload. I love you. :: Kumasi Cultural Centre. A rare oasis of green in a dusty city, and a short walk from Kejetia. A small museum, a performing arts space and some nice little tourist shops sit in front of the main attraction: the artisans at work at the rear of the complex. 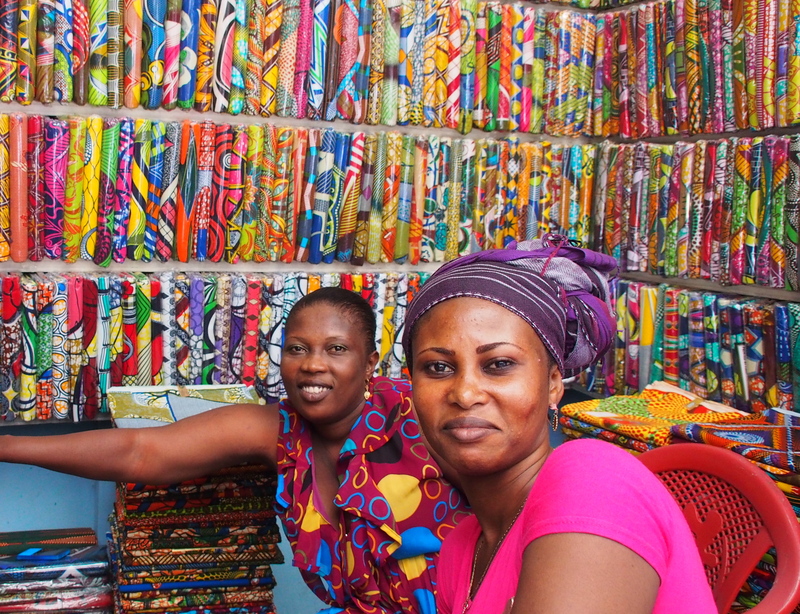 Here you can visit kente weavers, wood carvers, potters, batik printers, screen printers, brass makers and cane weavers. All are very happy to make items to order as well as sell pre-made goods in their stores. 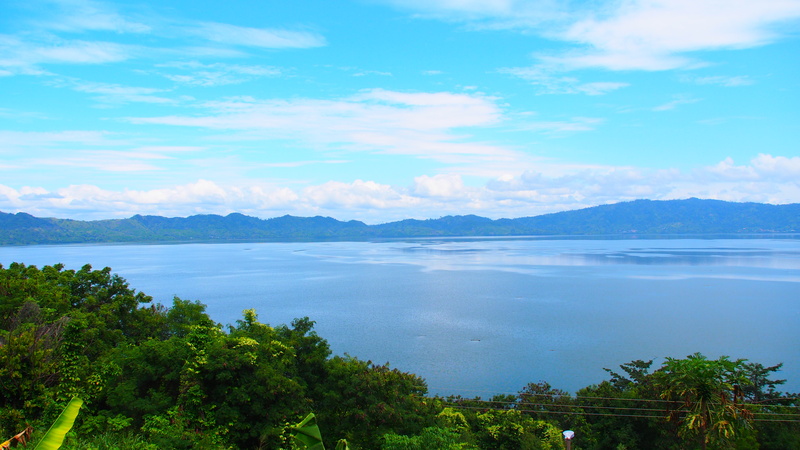 :: Lake Bosomtwe. Not actually in Kumasi, but a clean meteorite impact crater lake where you can have a swim and some lunch. Just avoid the public entrance at the lakefront, and opt to visit one of the small resorts along the lakefront. Our favourite place is The Green Ranch horseriding centre. 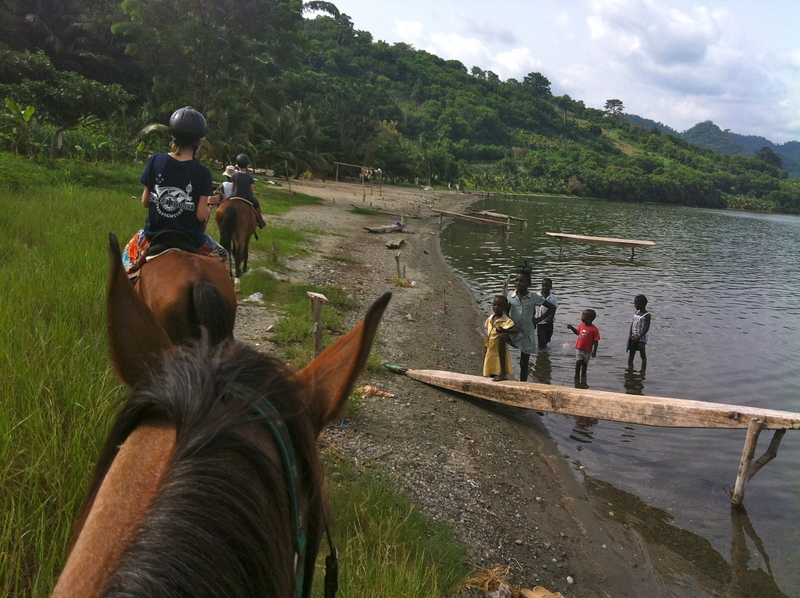 The lovely Elodie and Kojo offer horserides on well cared for horses, and a vegetarian lunch afterwards with the best view of the lake. They also have accommodation. :: Manyhia Palace. 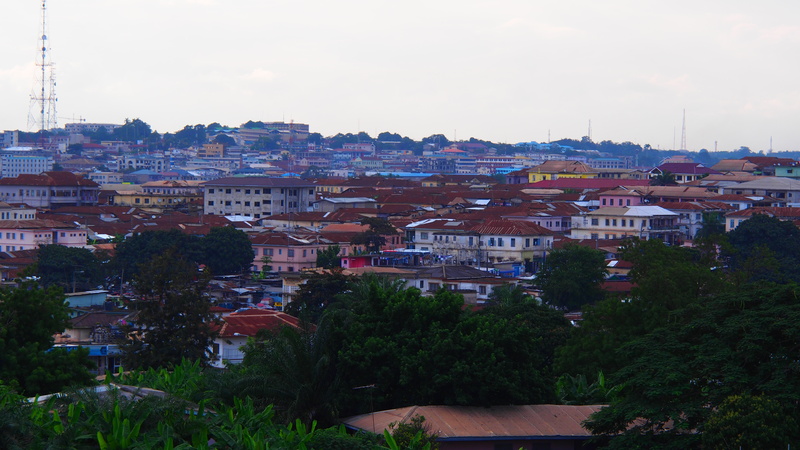 Kumasi has been the capital of the Ashanti empire since the 17th century. Manyhia (man-she-a) Palace is the home of the leader of the Ashanti’s, the Asantehene, Otumfuo Osei Tutu II. A small museum presents the history of the Ashanti, with particular reference to the impact of the British on the area. But the real drawcard is an Akwasidae, a celebration held every sixth Sunday. We never made it to one, which I am truly sorry about. :: The View. Cool, sophisticated, delicious. :: Royal Kumasi Golf Course. I only put this in to appeal to the golfers out there, and as a small plea for someone to (please!) open a restaurant in the lovely grounds. 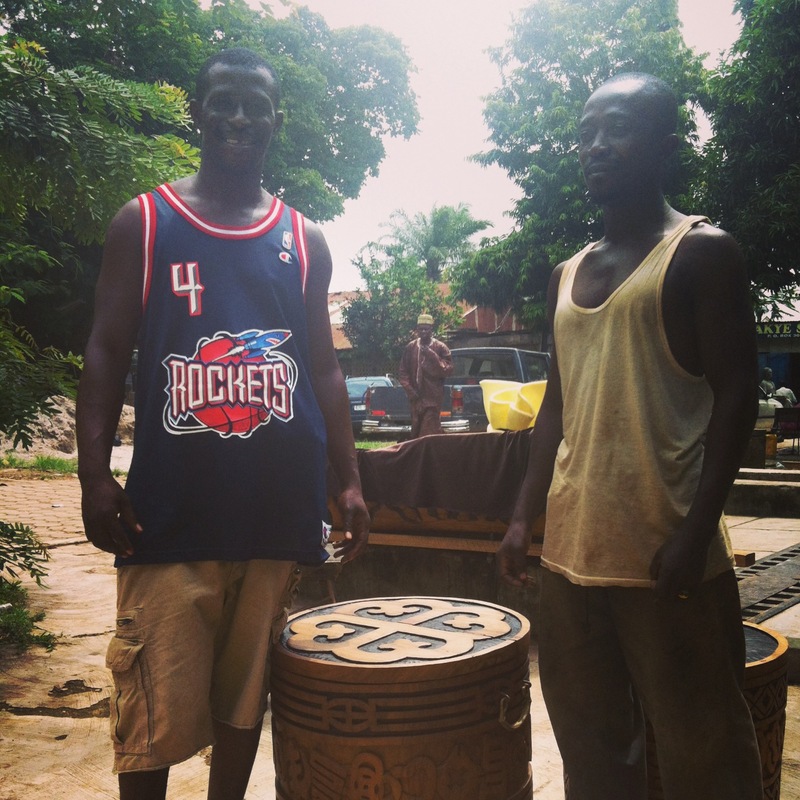 :: Kente Villages. 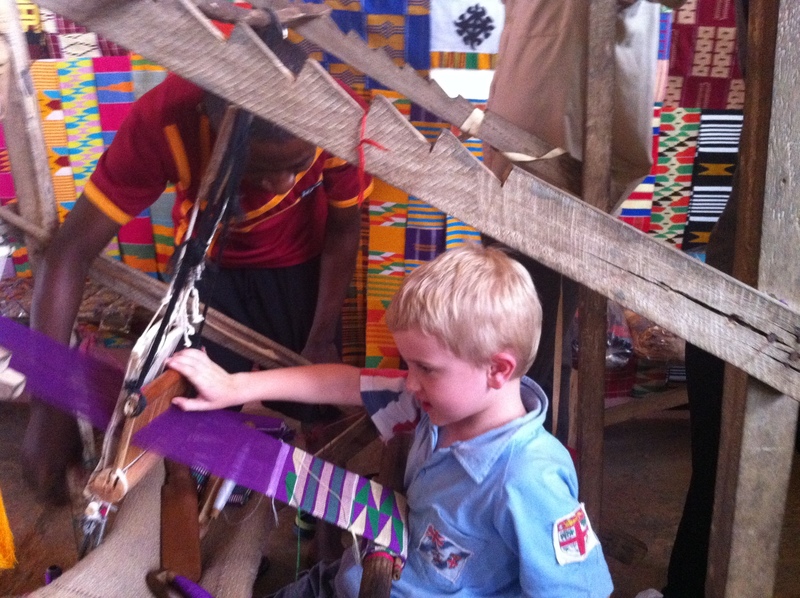 On the outskirts of Kumasi are a few villages which specialize in the weaving of Kente cloth. We have only been to Bonwire, but there are others around it. A visit to the co-op off the main street is a must do. Be warned about the hard sell, but the fabric is divine. 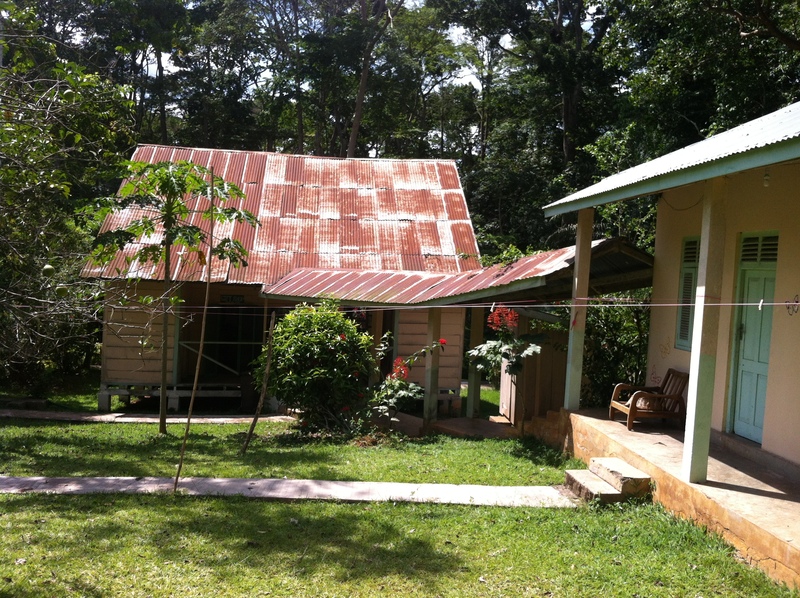 :: Bobiri Butterfly Sanctuary. About half an hour from Kumasi along the Accra road. A sweet spot to take a quiet walk through the forest and admire the millions of butterflies. It is possible to stay overnight in simple cabins. The walls of the main buildings are covered in hand painted butterflies and are just lovely. :: Baba Yara Sports Stadium. 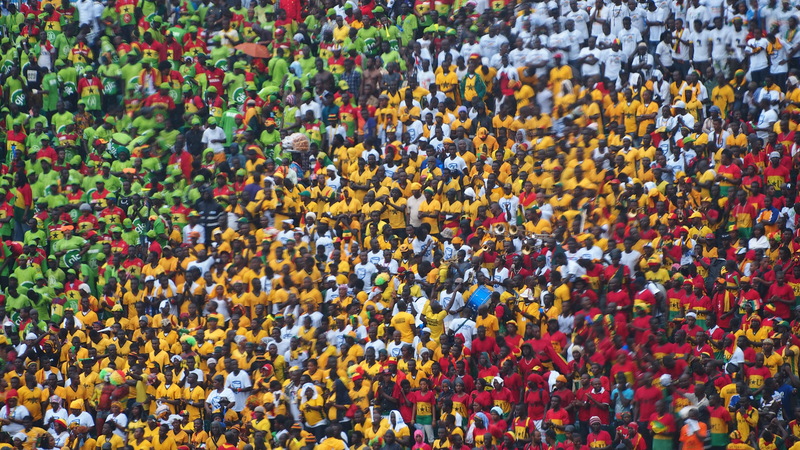 Spiritual home of the Ghanaian Black Stars football team. If you can, catch a Black Stars game, or the local Asante Kotoko team. An awesome experience. :: For accommodation, try the Four Villages Inn. :: If you are moving to Kumasi, I strongly recommend hooking up with the Facebook group Kumasi Expats. Feel free to email me as well. ← What I did on my Christmas holidays! Does this mean we will be seeing you all back in Newcastle? I have loved reading your insights and reflections. Afraid not Anna. The kids and I have moved to the capital, Accra. More news soon…promise. You got it all done to a t.. Written perfectly.. after being in Accra now for more than 6 months, i can honestly say there are a few fleeting moments when i miss the simple Kumasi life. Thanks for this. Thanks Nic, it was surprisingly hard to write, to make a decent go of trying to explain out time there; so I’m pleased that you thought I got it right. Looking forward to spending more time in the big smoke with you! As always Chris, your post resonates deeply within me even though I called Gabon’s second city home and not Ghana’s. I’m looking forward to hearing more of life in Accra. What a lovely sentiment to this city. I wonder what you will make of Accra? Can’t wait to read about it. Thanks Jane, it was a tough one to write as a foreigner as everyone is very protective of their home towns. And I’m curious about Accra too…had my first experience of the traffic last night…uuuuughh! Thanks for Sharing Chris……….I am still enjoying your ride and still can’t believe i found you and your family. I am so glad on that day you decided that your experiences and life was worth logging and thrown onto the either world. I have seen and read so much of Ghana and Africa and your incites and thoughts that i would have never known but for your blog and musing and i am the better for it. Thanks, thanks and thanks again.